Third Nyan Cat Award For Web Based Idiocy: Cathy Caverly of Creative Commons. Nyan Cat awards are given for outstanding achievement in disinformation, web myths and general web based idiocy. I just read with some amusement this article in the UK Guardian whereby author Phillip Pullman rightly calls piracy “Moral Squalor”. But that’s not the part that’s funny. It’s the quote that they use for “balance” from Creative Commons Chief Cathy Caverly. NO IT DOESN”T. IT JUST MEANS THAT YOU HAVE TO ASK PERMISSION OF THE AUTHOR OF THE WORK IF YOU USE IT PUBLICLY AND/OR COMMERCIALLY EXPLOIT IT. HOW CAN ANY DECENT HUMAN BEING BE AGAINST THAT? Permission is the foundation of civilization or have you forgotten that Ms Caverly? But it shouldn’t surprise anyone that the Chief of Creative Commons would utter such idiocy. For they claim they offer a license “that lets creators take copyright into their own hands”. WTF? It actually does the opposite. Isn’t this a false statement? False advertising? Fraud? Reading that statement I can’t imagine there are NOT artists out there that unwittingly put their now valuable work into Creative Commons thinking they were gaining more control over their work when in actuality they were doing the opposite. I’m not a lawyer but isn’t there a problem misleading people in this manner? Plain old normal copyright IS creators right to their works in their own hands. Creative Commons licenses are a permanent surrendering of some or all of your copyrights as an artist. To use the same analogy these CC licenses take creators’ works from their hands. Now some people see Creative Commons as a elaborate put up for a particular large Internet corporation that would like nothing better than to monetize every book, film, photograph and song without ever having to ask permission of the author. They often point to Sergey Brin’s (Google) financial support of the organization and the fact that his mother-in-law is the vice chair. Or they point out that their board is completely dominated by people with ties to technology companies and opponents of Copyright. I don’t agree with this. The pseudo-intellectual Creative Commons movement was afoot long before Google existed. Still one can certainly argue that Creative Commons are “useful idiots” and I won’t object. “Why are Creative Commons licenses even necessary?”. For you can do everything you do with Creative Commons that you can do with old-fashioned-non-googly copyright! For instance I allow the non-commercial sharing of recordings of my bands live shows on the non-profit Internet Music Archive. There are thousands of our recordings on the internet music archive. All I had to do was state on our website that we allow this. Voila. Thousands of recordings appeared. Neither do we object to fans posting ukele cover versions of “Take the Skinheads Bowling” on their facebook pages. And may I remind you that the Grateful Dead enacted their famous taping policy without a Creative Commons license? Photographers who wish to freely share their photos in any manner commercial or non commercial may state so on their websites without using a Creative Commons license. Plus they have the added advantage of being able to change their minds later. Something that is not possible with a Creative Commons License. Why is it left to me rather than a real journalist to point out that there is no point to Creative Commons licenses? Where are the grown-ups? They serve to confuse the public as to the true nature of copyright. And that looks suspiciously like propaganda to me. “Useful idiots” indeed! Therefore we hereby present our 3rd Nyan Cat Award to Cathy Caverly of Creative Commons. Enjoy. * The Freeloading Generation: Are we loving our music to death? “I saw that freeloading was no victimless act, nor was it simply a matter of beating up on bloated corporate media entities. David Lowery of bands Cracker and Camper Van Beethoven thought the internet would become a vibrant new marketplace for creators. Instead, he says, the internet era is worse for artists than the infamously unfair record company system. Brooke talks to Lowery about what’s wrong and how to fix it. * Why is it either/or? we are blessed to have a society that produces both the Amanda Palmers and the John Irvings; and I don’t understand why anyone thinks we need to choose a system that would favor one over the other. Believe it or not, the one unifying principle that supports these two artists, as well as all others, is copyright. The desire to see the Internet remain free and open does not mean, however, that we should countenance lawlessness. A balance must be struck between the needs of content creators and the advocates of a free and open Internet. The “rules of the road” are still to be written and, when they are, the need to protect U.S. generated intellectual property should be foremost in the minds of legislators. The Internet and the world of e-commerce will not continue to grow and thrive either in an environment of overbearing regulation or in one which turns a blind eye to theft and other forms of lawlessness. Freedom and safety are complementary; the American people deserve both. The Internet must not become a haven for hackers and foreign criminals. The new center will consolidate Microsoft’s digital crimes and Internet piracy units into one advanced operations center on its Redmond, Wash., campus. It will give the company one center to coordinate investigations with governments and law enforcement agencies. A staff of 30 there will work with 70 other Microsoft investigators world-wide to focus on malicious software crime, technology-facilitated child exploitation and piracy. Not long ago, many hoped the Internet would emerge as a music fan’s Shangri-la, a utopian world where any track, no matter how obscure, was available for free, record labels were extinct and artists made a good living because their fans chose to reward them. Acts like Radiohead and Nine Inch Nails championed this brave new world. The bigger question is whether YouTube will be able to generate enough ad money for content makers to support the “premium” programming it has been trying to attract so it can compete with traditional TV. * You Say You Want a Devolution? 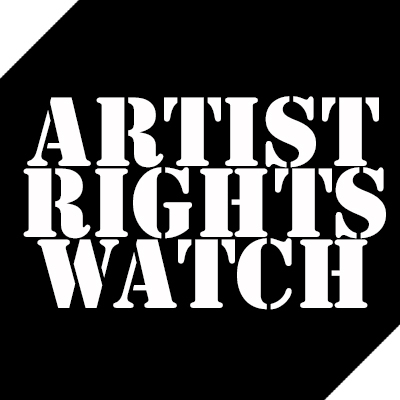 Artists deserve to be compensated for their efforts, and so should the companies that take risks to promote and distribute their work. Stealing songs and movies to pass among friends or to sell in a black market robs the originators of their incomes. * Aaron Swartz was brilliant and beloved. But the people who knew him best saw a darker side. * What do the numbers say? * Can YouTube’s ad revenues support premium video content? Conspiratorial thinking – such as imagining media barons in secret meetings, perhaps involving the “MAFIAA” – abounds. In America, activists have created a Batman-inspired cat signal, to be beamed to other paranoiacs in distress, whenever The Man is suspected of spoiling their fun. Persecution fantasies abound. The soundtrack for Blues Highway Blues isn’t meant to be played as you read; there are no in-text notes about tracks fading in or out. Instead, the soundtrack corresponds to events that unfold throughout an entire chapter, making listening a parallel experience, not a simultaneous one. But this is only the first installment in the Crossroads series, with more on the way. The next installment, Rock Island Rock, will be out in June of this year. That novel will not have its own soundtrack but instead will include lyrics sheets in the appendix (how very Beck Song Reader of him, right?). For now Blues Highway Blues is available—for your eyes and ears. I am sure the Wall Street Journal article will generate the predictable commentary about how the solution to online theft lies in developing new business models. Wolfe Video did just that, and the results do not bear out the claims that piracy is all about failure of imagination. Moreover, I have yet to hear anyone explain what is innovative or new about stealing the creative work of another and monetizing it through ad sales. The Trichordist is pleased to announce that we will link to FarePlay on Facebook. 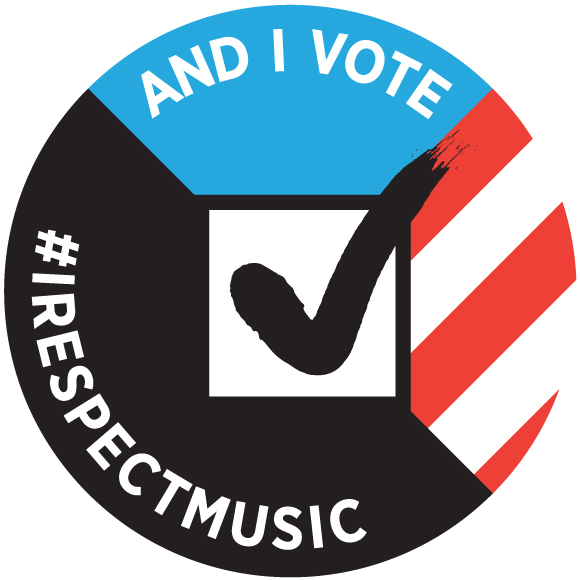 On this Labor Day, we’d like to thank everyone donating their labor and love to the issues concerning artists rights. Be sure to drop by each of these excellent sites to get insight and opinion from many different perspectives about the issues important to artists and creators online. Each of the blogs below is worthy of your attention.